Pound the colorful balls with the squeaky hammer and watch them drop through the maze. 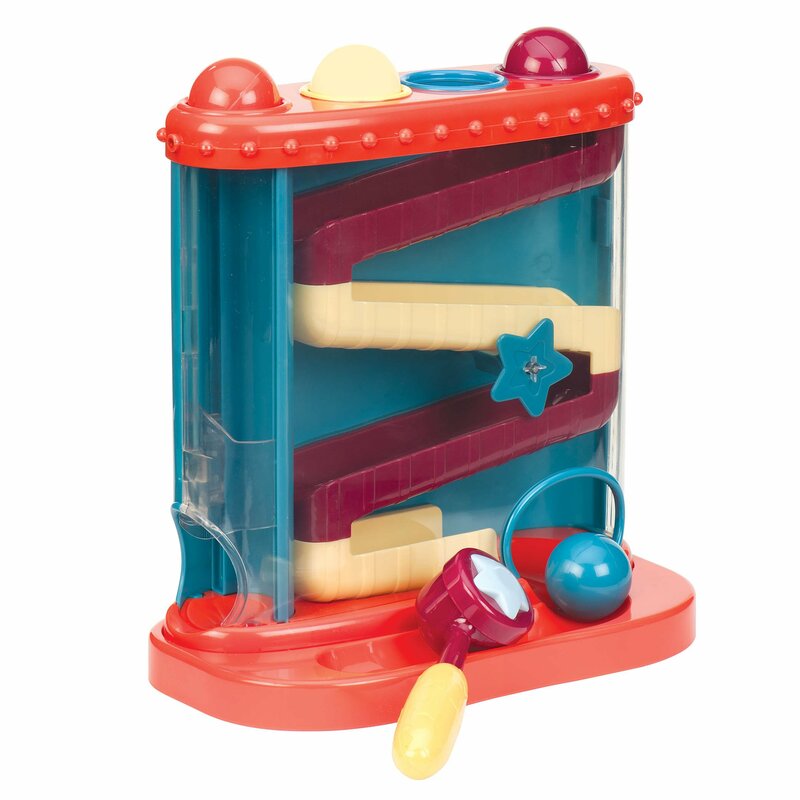 This set includes a ball maze with removable base, one (1) squeaky hammer and four (4) colored balls. The squeaky hammer and balls are designed with little hands in mind for easy gripping. The maze measures 11 inches by 11-inches, perfectly sized to fit on a desk or tabletop. Recommended for ages 12 months to 5 years. The Battat Pound-A-Ball is ideal for building hand-eye coordination andstimulating young, curious minds. Pound the colorful balls with the squeakyhammer and watch them drop through the maze. This set includes a ball mazewith removable base, one (1) squeaky hammer and four (4) colored balls. Thesqueaky hammer and balls are designed with little hands in mind for easygripping. The maze measures 11 inches by 11-inches, perfectly sized to fit ona desk or tabletop. Recommended for ages 12 months to 5 years. From the Manufacturer Includes one hammer with squeaker, one maze with removable base, and fourcolorful balls. Easy for little hands.